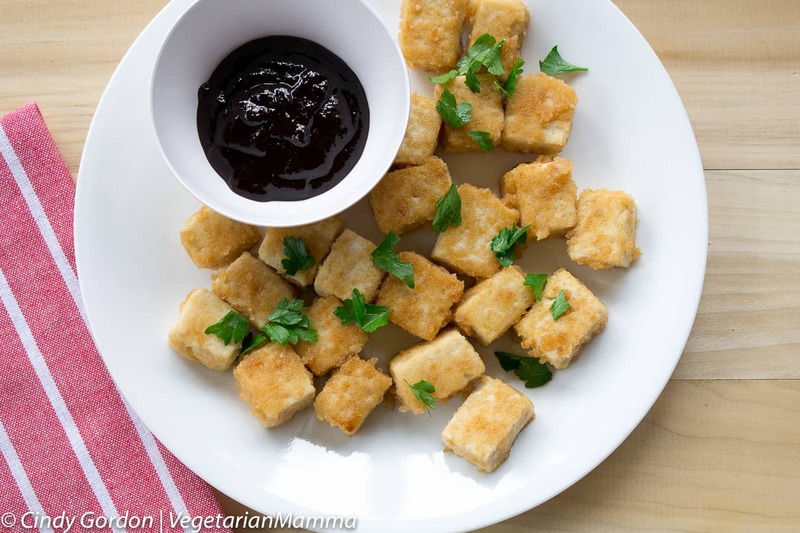 Kid-Friendly Tofu Bites are the perfect meal for busy Back To School nights. These tofu bites are kid approved. Tofu is often considered a food with an acquired taste. Some people seem to love tofu and some people do not. It is entirely up to you and what you prefer, but before you decide if you love or hate tofu, you need to make certain you are giving it a fair chance. In our family, we eat a lot of tofu. It is a good option for us as a vegetarian family. We love how it absorbs flavors and spices and it’s a great texture to add to a lot of varied vegetable dishes. 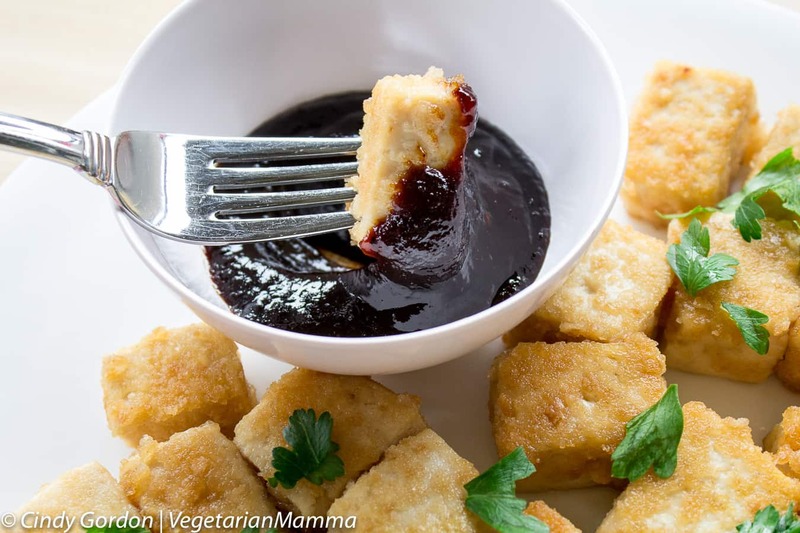 My list of kid friendly vegetarian recipes always includes this simple tofu bites recipe. In sticking with our simple recipe theme, this kid-friendly tofu bites recipe has minimal ingredients. And when I’m cooking, the fewer ingredients, the better! I love being able to see a recipe and count the number of ingredients quickly and easily. I often feel like when a recipe starts adding a ton of different ingredients, it often loses a bit of that unique flavor as well. When making tofu for toddlers, or tofu for babies, I think a simple recipe is best! Are you a tofu beginner? Start here with a series of articles that will teach you how it’s made, how to cook it, and why it’s good for you! Understanding Tofu – a beginners guide – Learn more about how tofu is made (even try it at home if you like!) and what the different types of tofu mean. 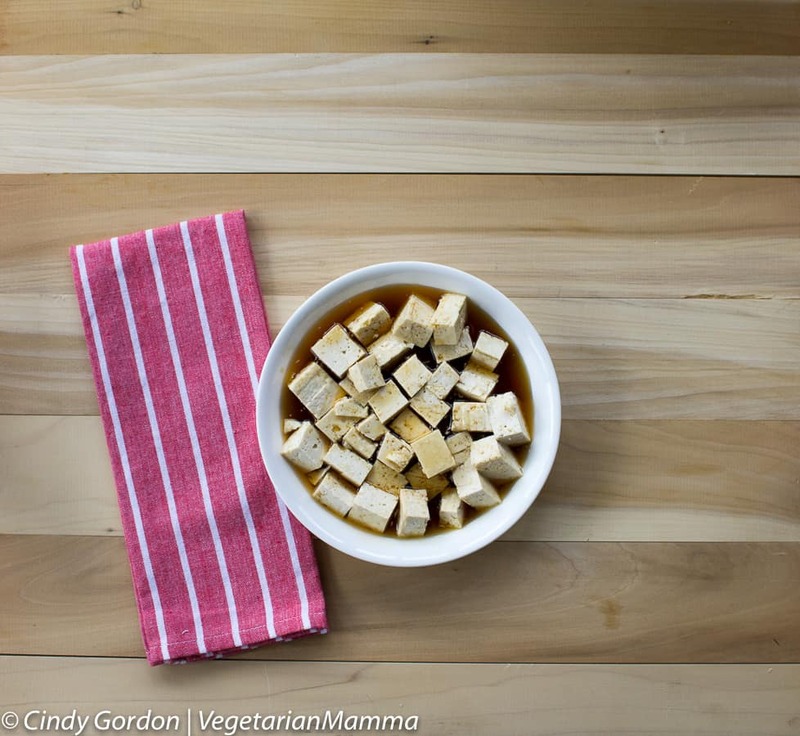 Benefits of Tofu – Read about the health benefits of adding tofu into your meal plan. 4 Simple Ways to Cook Tofu – Here I teach you exactly how to cook tofu in four different and easy ways. Tips for Grilling Tofu – Bonus! One more amazing way to cook tofu that’s perfect for warm weather and just in time for summer! First, start with your favorite gluten-free crackers. These are tofu bites for toddlers, right? And if you have a toddler, I know you have crackers in the cupboard! Crackers might just be the cornerstone of kid friendly vegan recipes. Make sure you keep some on hand. Next up…smash those crackers! This is the most fun part of the recipe! If you have children that are always wanting to help you cook, smashing the crackers is the perfect job for them! Let them smash away! They’ll have a blast and you’re crackers will be smashed perfectly as well. 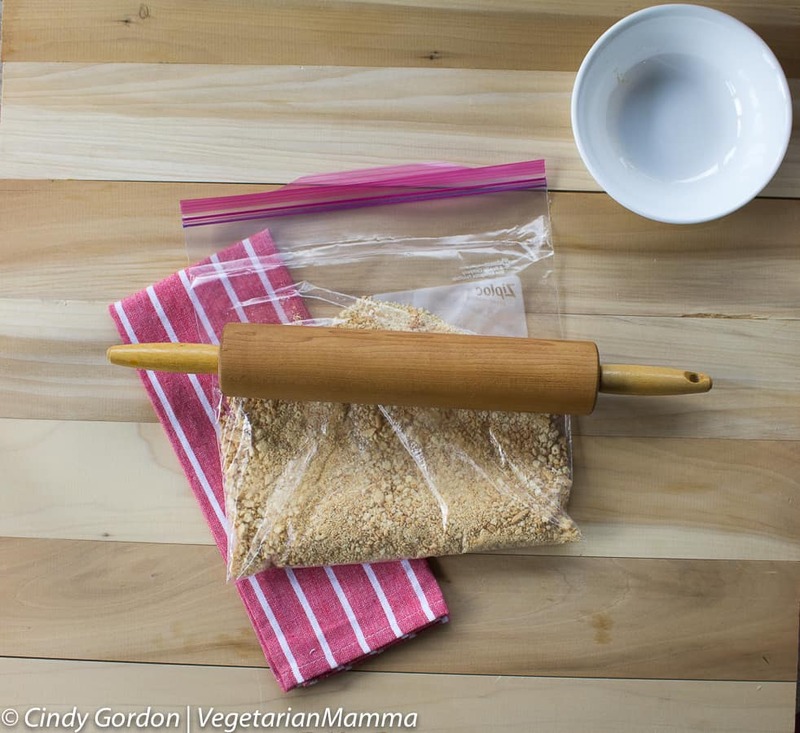 While those crackers are being smashed, you can save time by pressing your tofu. You can prep food (crush those crackers) while turning the knobs every 2 minutes over a 10-15 minute time frame. I honestly can’t say enough about the EZ Tofu Press, it has changed the way we love and enjoy tofu! It makes a world of difference! Plus, it saves a ton of time as well! Next up, we are going to marinate the tofu chunks in maple syrup. That is a key ingredient to making these tofu bites, even more, kid-friendly. The maple syrup brings a level of sweetness that is truly out of this world! After marinating in maple syrup, we are pan frying these little kid friendly tofu bites! Before frying, roll the tofu for toddlers in the smashed up cracker bits and get them ready to be cooked! Trust me…once you start pan frying them, they smell simply amazing. Your mouth will be watering instantly and your kids will be begging for a tasty bite! 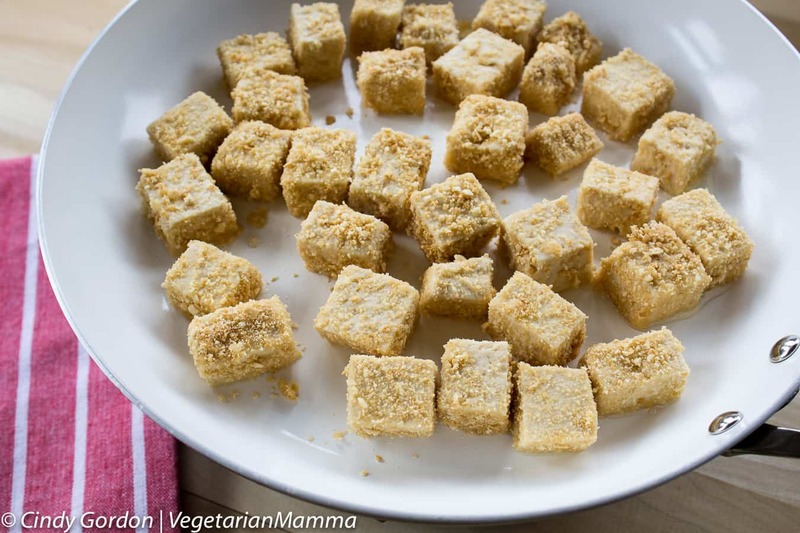 Once pan-fried, the crackers turn a delicious golden brown on these kid-friendly tofu bites. You’ll be able to tell that they are done by the browning of the cracker crumbs. The smell is very inviting! I am pretty sure you won’t be able to resist these! You can also use this same method with zucchini! Delicious! 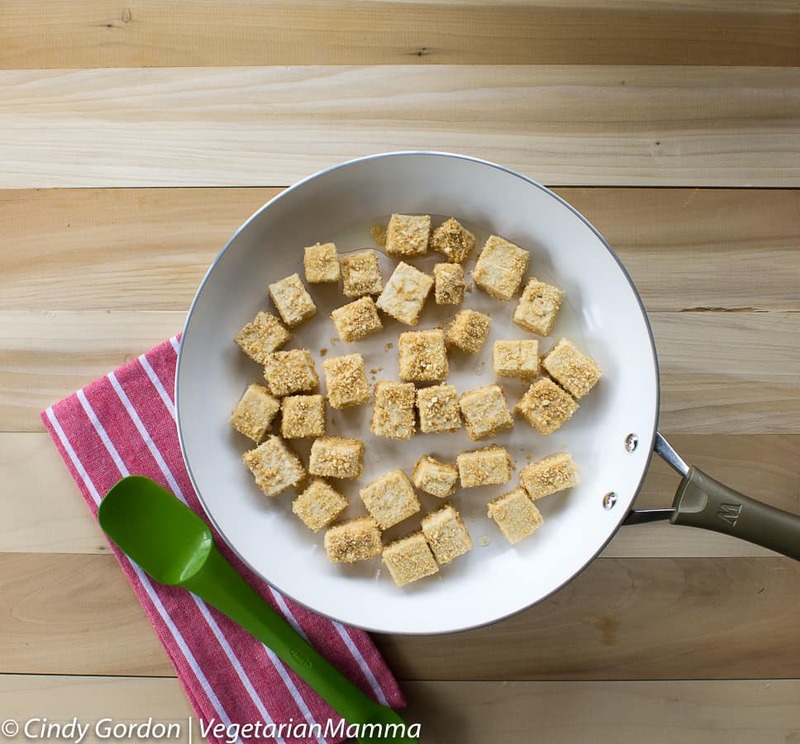 One Taste of These Kid-Friendly Tofu Nuggets and They’ll Be Hooked! This tofu recipe for toddlers doesn’t disappoint. They look great, the smell is very inviting, and they taste delicious as well. I am pretty sure you won’t be able to resist these! When I make these in my house, the plate is empty as soon as it touches the table. They are the perfect bite-sized snack that is kid-approved! 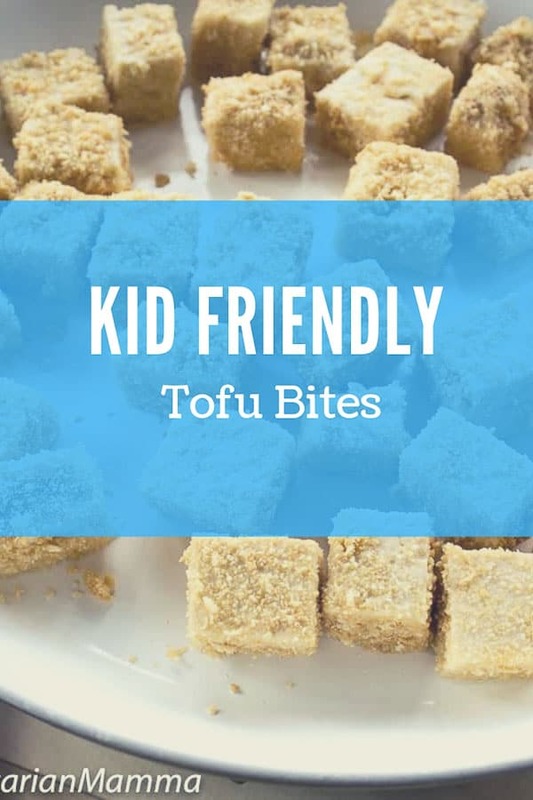 See With Your Own Eyes Just How Simple These Kid-Friendly Tofu Bites Truly Are! I bet you are getting hungry! I made this short video to show you just how easy the entire process is! Would I steer you wrong? After watching that video, it looks pretty simple, right? Take notes and watch the video as needed because you are going to be making this a lot! I bet it becomes a family favorite! You can eat it as is, season with salt and pepper or serve with a side of BBQ sauce for dipping. 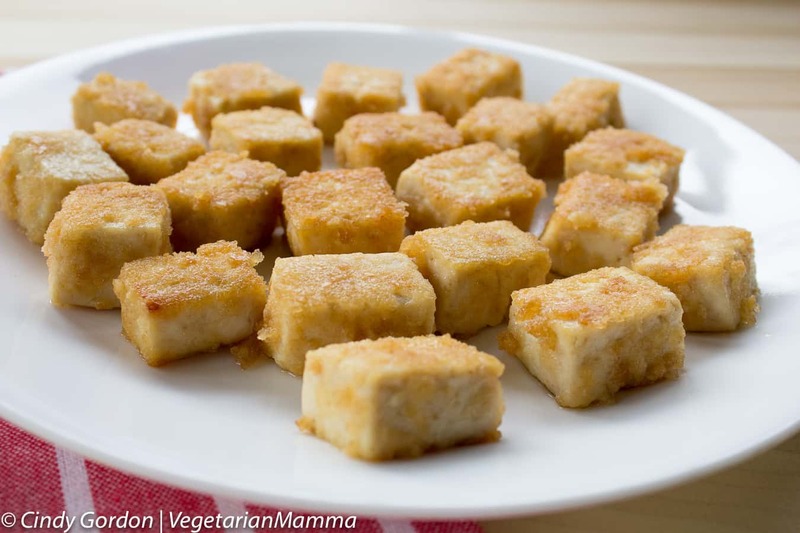 Regardless, these kid-friendly tofu bites are good! Let’s get to this recipe! You may just have enough time to make this for dinner tonight! After seeing all these pictures and watching the video, I bet you are super hungry! 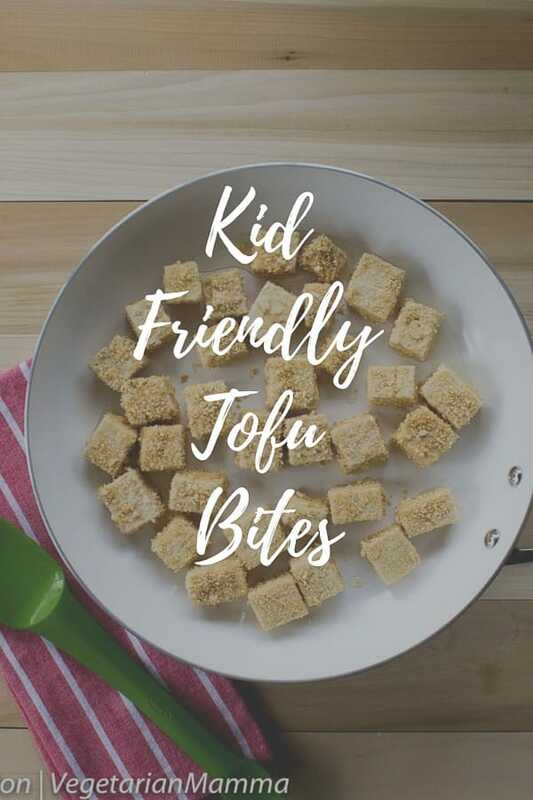 Get the recipe for kid friendly tofu! Using your tofu press, press the tofu. While tofu is pressing, put your crackers into a baggie. 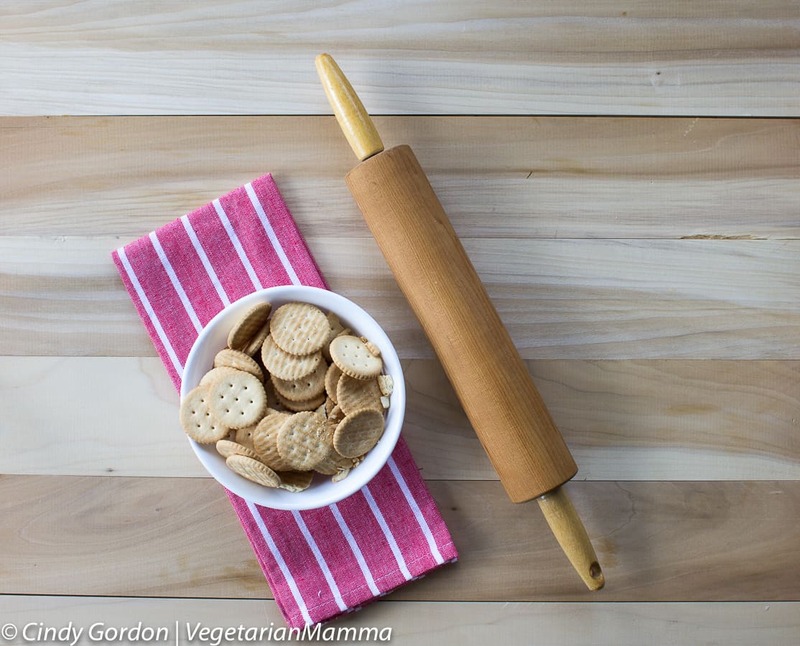 Use a rolling pin or your hands to smash/crush the crackers into small crumbs. Keep crumbs in the baggie. In a shallow bowl, add the maple syrup. 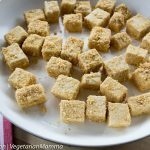 Remove tofu from press, cut into bite size pieces. Place tofu in maple syrup. Let marinate for 15 minutes. Gently spoon tofu bites into baggie with crumbs. Gently turn baggie to help coat the tofu bites with crumbs. When crumbs are well covered, stop and warm your skillet over medium heat. Add 1 T of oil to start. Gently fry the tofu bites on each side until golden brown. Let’s talk! Leave me a comment below telling me if your kids have ever tried tofu? Do they like it? How do you like to prepare it? Tofu with grilled vegetables and orzo. Nice article and such good tips about making tofu kid friendly. Pinned this and wish you a happy evening. This looks likes something my kids would love! Great recipe. I love scrambled tofu with veggies for breakfast! This looks so delicious! We don’t eat a lot of tofu, but I think the family would like this even my little one. We are going to have to give this a try this week. 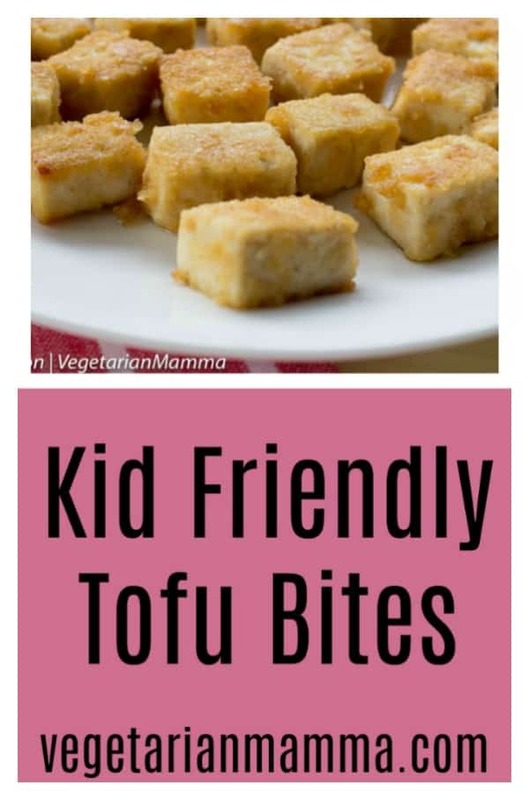 This might be the way to get my kiddo to try tofu! It would be a fun addition to our menu. I love tofu! It is a family essential and we cook it all the time. I’ve never used a tofu press though, how do those exactly work and what do they do? I love this recipe, and will try it! We eat vegetarian about 80% of the time and I have loved the health benefits it has brought to our family. Preparing tofu has always scared me though. I feel like it’s so intimidating, but this recipe makes it sound totally easy and worth it. Tofu, here we come! What a fun idea! I’ve BBQd tofu once but was too squishy. These bites are smarter! This looks so good. I have been introducing new vegan foods to my family and so far so good. I gotta tell you, it isn’t easy preparing some of them. My family loves tofu. Great source of protein too. I have them deep fried and cut into cubes. Our favorite dipping sauce is sweet chili ketchup. Even my grandson loves tofu. He eats them with much gusto! Will definitely do this soon. Thanks for sharing your own recipe. Now I have something new to offer to my friends and family. First time my children (2 year old and 4 year old) tried tofu was at Moe’s Southwest Grill, I was so worried they were not going to like it and it was also my first time trying it so I wasn’t sure what to expect at all. To my surprise they loved it and I enjoyed it as well so I will be trying all your tofu recipes at home now. My kids love tofu so I bet this will be a hit. They don’t like bbq sauce but will probably eat these with ketchup. Yum! I love that idea! Really simple and sounds tasty! I LOVE tofu! Maple syrup, (and duct tape) are the VT solution! These look yummy! You always feature some of the most unique and delicious recipes. I love tofu, thanks a lot! I can not wait to try this. My family prefers eggs over tofu as the protein is more readily digestible but it is a good base for flavors. These sound yummy — sort of a vegetarian take on chicken nuggets or fish sticks! I have an *extremely* picky 2 year old eater who refuses all vegetables, it’s even difficult trying to cleverly hide the veggies. So I bought a block of extra firm tofu and googled recipes, came across this one and thought it looked like a pretty great idea. I made the recipe today, exactly as written (no tofu press, used a pan and a jar of sauce), she ATE it … and asked for more!!! I’m absolutely elated that this recipe allowed me to introduce her to tofu and it’s texture, and will maybe encourage her to eat it in different forms. I tasted it and it was really delicious, tastes like french toast .. I told her it was french toast tofu actually. Thanks for sharing this great recipe! Thank you SO much! Your comment really brightened my day! I am so glad that she loved her french toast tofu! Adorable! Thanks again for trying it and letting me know!